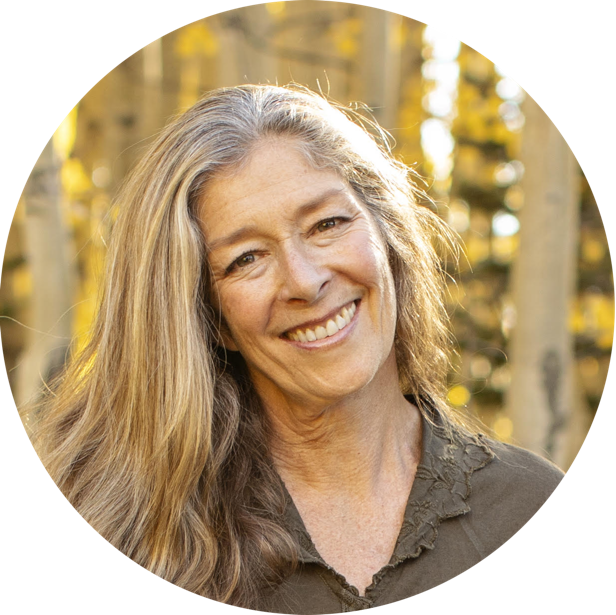 Ascent Counseling is a private counseling practice offering therapeutic individual and group counseling for adults and adolescents with a convenient downtown location on 3rd and Elk in Crested Butte, Colorado. I work with a wide range of life concerns as well as emotional and behavioral issues and Specialize in the treatment of Addictions, Trauma, and Mental Health Nutrition. My name is Darlene Egelhoff, and I would like to take this opportunity to welcome you to my practice and share my treatment philosophy. Counseling can have a tremendous impact on a person’s life by speaking to the many challenges that life brings which often create feelings of being stuck with no way out. Our sessions will be a process of building rapport and trust to discuss specific problems that may have biological, psychological, social, or spiritual impact. Collaboratively we will define goals and create a treatment plan to effectively meet those goals. I believe a sense of empathy and compassion are critical components to the therapeutic process. I am a client-centered therapist who holds a central hypothesis that the growth potential of any client will tend to be released in a relationship in which the therapist communicates realness, caring, and a deeply sensitive, non-judgmental understanding. Thus, the therapist practices participative and empathic listening, while allowing the client to freely vent his/her feelings. I will utilize cognitive-behavioral techniques which consider the inner workings of how thoughts affect feelings and behaviors along with mindfulness-based therapeutic approaches that cultivate self-awareness, acceptance, compassion, tolerance, and reduce suffering. I offer strength-based and constructivist-oriented counseling working collaboratively with the client to make meaning of his or her own losses, needs, and historical patterns. My approach will focus on solving personal challenges and promoting growth through true healing, wisdom, authenticity, and truth. I am also Certified in EMDR an evidence based treatment that is often used in trauma counseling and in the treatment of anxiety, depression, addictions, trauma, and many other emotional issues. I am trained in Amino Acid Therapy and am a Certified Recovery Nutrition Coach. Amino Acids are the most effective tool to improve moods, recover from addictions and harmful habits, as well as to speed up psychotherapy. Amino Acid therapy is the use of supplemental amino acids to help balance and rebuild the neurotransmitters. They lift the mood, increase energy, reduce anxiety and pain, help with sleep, and can be found at health food stores. A well-nourished brain allows for more success faster and deeper for the long term and allows for better coping skills and improved relationships. Please feel free to contact me for a 15 minute free consultation. We can talk over the phone or make arrangements to visit in person and determine if you think Ascent Counseling would be a good fit for you and meet you individual needs. It is my belief that good can come from all things and it is my hope that you will find meaning, purpose, joy and happiness from your journey regardless of how difficult your experiences have been. You are not your past, your decisions, or your problems. You are a wonderful, unique person with special gifts and contributions who has the ability to choose how you want to think, feel, act, and be. I hope to meet you and would be honored to share in your life journey.